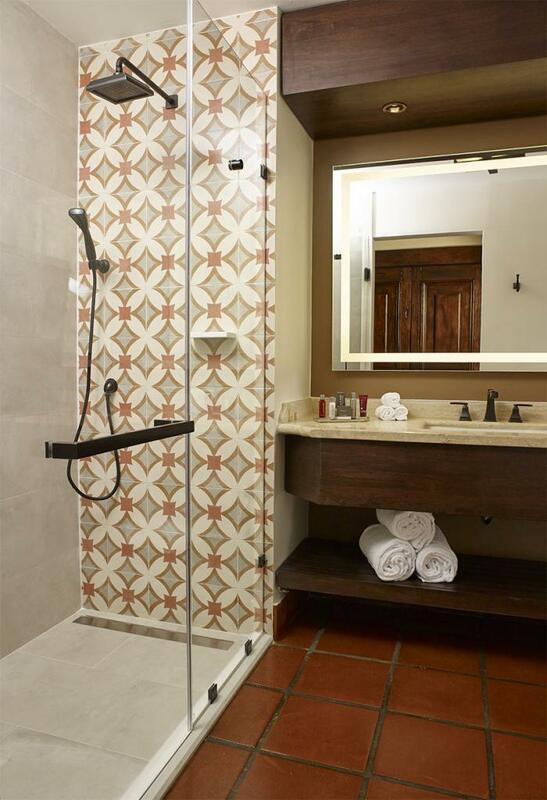 Warm-toned materials, details inspired by a traditional coffee farm, and patterns that go with the grain. Tropical maple, leather and bronze. 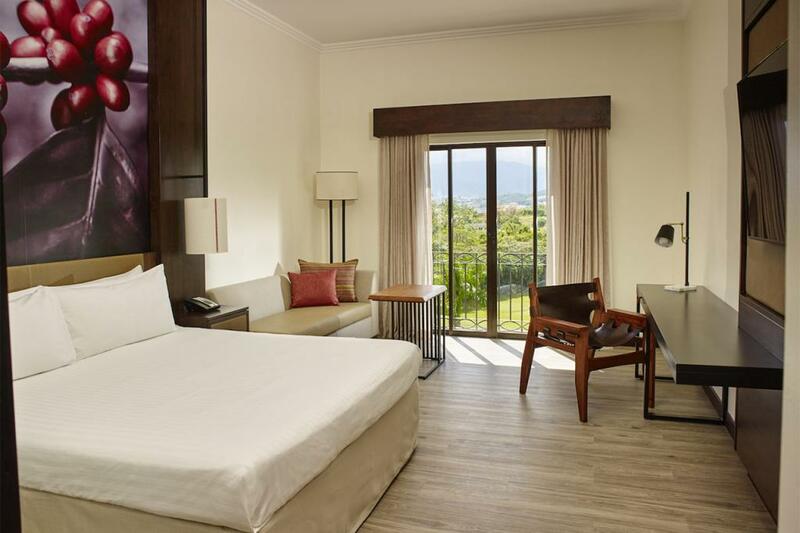 Custom hospitality furniture made for Marriott, San José, Costa Rica, that includes Beds and nightstands, desks, closets, bathroom furniture and more, designed in conjunction with Diseño Interno by Diseño Interno.